Welcome to the Northville Community Center Senior Services! We are here to provide recreational, educational and health and wellness activities along with fun and exciting events and trips. The Senior Alliance (Area Agency on Aging 1-C through Older Americans Act). 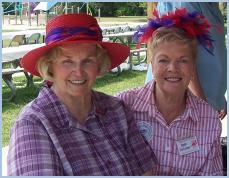 Meetings are held on the third Thursday of each month at 1:00 pm at the Northville Community Center.